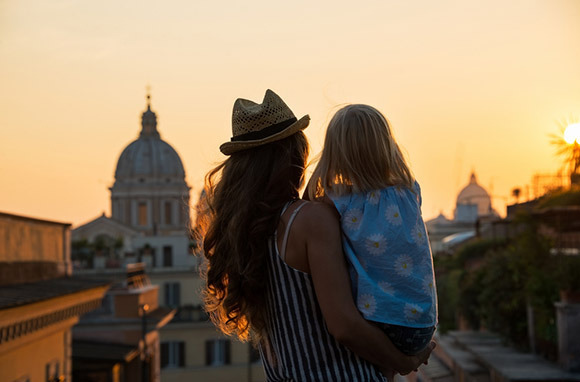 They may not appear so at first glance, but kids are the perfect travelers. Sure, they’re more prone to meltdowns and jet lag, but they see the world with pure amazement, a skill many of us have let lapse over time. So make the most of your little travelers with these 10 inspiring, world-expanding, and super-fun vacations that will keep kids and parents happy. Most kids under 10 would rather go to the dentist than visit a battlefield or history museum. But more interactive environments can bring the past alive and give curious youngsters context about their world. At Colonial Williamsburg in Virginia, families can learn 18th-century dances and go on evening ghost walks. Indiana's Conner Prairie Interactive History Park invites kids to participate in a 19th-century prairie town, where they can try their hands at being healers, merchants, or farmers or simply learn an old-fashioned game like hoop and stick. Help baby sea turtles find their way to the ocean. Paint a library. Whether you have a free morning or a full week, volunteering while on vacation is a great way to give back in your destination. Many programs are geared toward older kids, but there are plenty of opportunities for younger children as well. Biosphere Expeditions has no age limits on its one-day and one- and two-week wildlife-conservation experiences. Global Citizens Network organizes volunteer experiences for families with children eight and older. To find half- or full-day volunteer opportunities or to check donation needs in your vacation destination, Together for Good suggests browsing its directory (for the dozen Central American and Caribbean countries it covers), asking the concierge at your hotel, or checking a TripAdvisor forum for ideas. Fresh air, abundant wildlife, and natural wonders so incredible they've inspired people for millennia: Around the country and the world, national parks help children forge connections with beauty and nature. 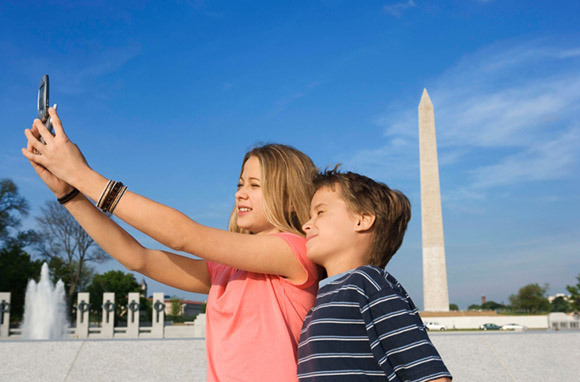 And starting in the fall, the nation's fourth graders and their families will get free access to national parks. To explore ancient Native American sites with kids is to introduce a complicated part of our history in an inspiring way. Walking through dwellings and villages means trading the one-dimensionality of history books for an immersive peek at the rich civilizations that predated U.S. history. And many have activities geared toward younger kids. For instance, a number of the sites, including Canyon de Chelly and Navajo national monuments, have junior ranger programs. And self-guided tours in many places mean that families can go at their own speeds as they explore. 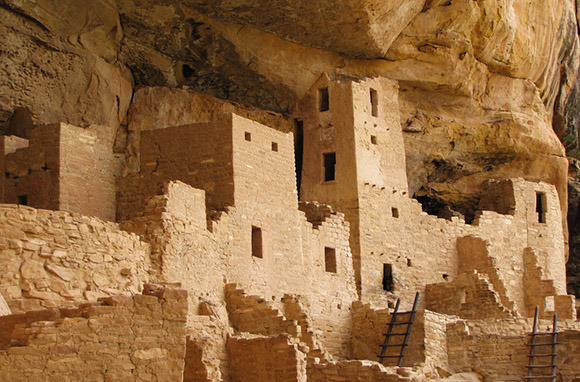 A road trip through the Southwest offers plenty of chances to learn about early Native American civilizations. The world is big and rich and varied, and there's no better way to drive that point home than by taking your kids someplace where they don't speak the language. Traveling to a foreign country gives them the chance to see that education doesn't stop at the school doors. Inspire them by showing them a world worth a lifetime of curiosity. Up for a serious adventure? Spin the globe and let your child point to a random spot. Want a little more structure? Create a short list that fits your interests and budget, then choose your destination together. Language acquisition is at the heart of learning in children's early years. Recognizing letters and putting them together to unlock the secrets of English is a huge accomplishment for kids. And taking them to a place beyond the borders of the Roman alphabet is an exciting reminder that there are always more codes to break. Japan, Greece, Russia, and China are just a few of the countries where you and your small traveling companions will have plenty of opportunities to approach the mysteries of a new alphabet together. To give your children early memories of warm sand, sunny days, and swimming is to plant the seed for the next generation of summer beach trips. As soon as kids are old enough to understand that sand is not for eating, they're ready for a beach vacation. Just remember that when you're a kid, sand toys are not optional. Lakes, oceans, or even lazy rivers can provide the perfect backdrop for a family beach escape. Some parenting theories suggest that kids who have a feeling of purpose or expertise weather their teenage years better than those who don't. Do your future self a favor and combine a vacation with fun skill building for kids. Children under 10 can learn to farm on Martha's Vineyard, discover acrobatics at Club Med's soon-to-debut CREACTIVE by Cirque du Soleil, which opens in June at Club Med Punta Cana (and will expand to other resorts), or even take up surfing in Hawaii. To see where laws are made and politicians debate is to breathe life into textbook descriptions. As a bonus, capitals tend to have a lot of family-friendly attractions. Washington, D.C., is bursting with free museums and incredible monuments. Sacramento, California, has an incredible train museum and a historic Old Town. In Santa Fe, New Mexico, kids can take cooking classes, explore nature, and visit a Children's Museum. In our quest to enrich our children's worlds through travel, sometimes we forget that it's nice for parents to occasionally relax too. Resorts with kids' clubs offer parents a few hours off each day. Some resorts even build in evening activities for kids so that parents can have a nice dinner out without cleaning up spilled drinks and messy faces. Even if you've never thought of yourself as an all-inclusive or family-resort sort of person, if there's a time to test the theory, it's before your kids turn 10.